Information Diary of Durga Puja in India. Dual specialization is available to students who need to select 3 courses from one Area (major specialization) and 1 course from another Area (minor specialization). 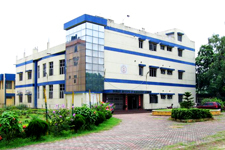 The Institute admits students on the basis of Performance in the CET for the year 2013 , conducted by The West Bengal University of Technology, as per the directive of the Department of Higher Education, Govt. of West Bengal , followed by Personal Interview. The minimum cut off percentile in such exam is decided by the Institute. The Institute admits students on the basis of Performance in the MAT for the year 2011 -12 conducted by AIMA , rank in JEMAT, conducted by The West Bengal University of Technology, as per the directive of the Department of Higher Education, Govt. of West Bengal or any other equivalent exam, followed by Group Discussion and Personal Interview. The minimum cut off percentile in such exam is decided by the Institute. Bhavan’s Institute of Management Science more popularly referred to as “BIMS” hails from the reputed fraternity of Educational Institutions under the Bharatiya Vidya Bhavan. Born in the year 2000, with the aim of imparting managerial skills and business acumen to the young and energetic, the institution has successfully created a niche for itself among the B- Schools of Kolkata. BIMS has developed to a centre of excellence in management education in a very short span of time. It is worth mentioning that the Bhavan’s family also holds a premier Management Institute, The S. P. Jain Institute of Management and Research at Mumbai, besides similar ones at New Delhi and Bangalore. BIMS MBA programme is affiliated to the West Bengal University of Technology and is approved by the All India Council for Technical Education (AICTE), Ministry of Human Resource Development, Govt. of India and Department of Higher education (Technical Education), Govt. of West Bengal. The Institute conducts 2 year MBA programme on a regular basis. Neither we nor the colleges / institutions hold any responsibility on account of the accuracy of the content provided. we are not responsible for any inadvertent error that may have crept in the process of data aggregation. Kindly visit the respective college website for latest information. This website contains consolidated links, admission information and online application forms for applying to several Colleges. We are constantly extending our support to Parents / Students who may face difficulties in understanding the various aspects of the online admission process. Kindly feel free to send us your queries and feedback by Clicking Here.